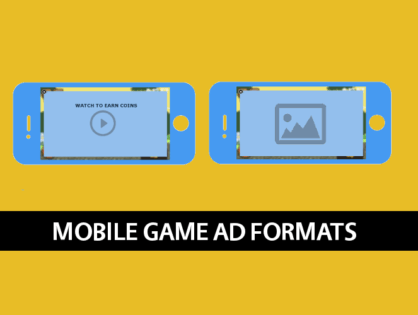 Want to learn how to choose the best mobile ad formats for your game? Then you clicked on the right article. There are many different ways to make money with your mobile game. One of the most popular ways is to use mobile ads. Advertisers are realizing that people are spending more time on their mobile devices, which is why they are allocating more of their budgets on mobile. 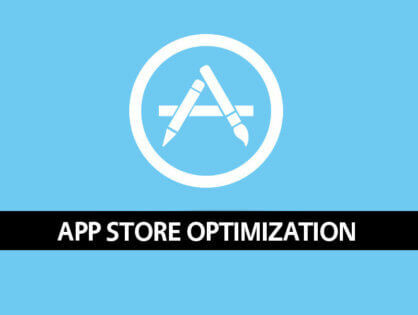 These new budgets are causing a great monetization opportunity for mobile developers. If you do choose to take advantage and use ads to monetize your game, your first decision will be to decide the types of mobile ad formats you will use. When choosing the right mobile ad formats for your game there are a number of factors to consider. Below is a description of the top mobile ad formats for games and a helpful guide for ranking the five most important factors when choosing between different formats. eCPM – Effective cost per mille or revenue you earn per thousand impressions shown. As a dev you want to keep your eCPM as high as possible and choosing the right mobile ad format(s) is part of that process. Fill Rate – a number of ads shown over a number of ads requested. Your goal should be to keep your fill rate as high as possible. If your game requests ads and the ad sources aren’t showing ads consistently, then you have a low fill rate. It is important to note that some ad formats have higher fill rates than others. User Experience – All devs should strive to give their players a great user experience. If you are constantly interrupting their gameplay with ads, you might make money in the short term but your users will eventually leave. It is all about finding the right balance. Ease of Integration – Devs want to build games. They don’t want to spend their time on ad integrations that might cost time and money. Especially, if the revenue isn’t there after the integration is complete. Placement Opportunity – Are there opportunities to place certain mobile ad formats into your game? Depending on the type of game, some mobile ad formats will be harder to place than others. These factors are ranked from 1-5 for each of the mobile ad formats. A score of 1 is poor and a score of 5 is great. NOTE: These are general guidelines. Just because a mobile ad format has a lower score doesn’t mean it isn’t a fit for your game. Video interstitial ads are one of the most popular mobile ad formats. They are video ads that pop-up at specific times during your game. The best placement for this ad format would be after a natural break in gameplay like after a round of play. These ads are 320 x480, cover the entire screen, and play for 15 or 30 secs. Most mobile ad sources also give you the option to have skippable or non-skippable video ads. A cancel button is usually available to the user after 5 secs if the ad is skippable. eCPMs tend to be on the higher side. Especially if the ads are long (30 sec) and non-skippable, which forces the user to watch the ad. These ads are usually engaging and tend to have higher click-through-rates (CTR). The high engagement and CTR for this format also makes it very popular with brand advertisers. These advertisers have larger budgets which can drive your eCPM even higher. Since video interstitial ads are one of the most popular mobile ad formats for advertisers, there is plenty of inventory to fill your ad requests. Video interstitials don’t give the best user experience especially if the ads are non-skippable. But, if you create placements at natural breaks in play, your user experience will improve. This ad format isn’t the easiest to integrate into your game. There may be issues with crashing related to memory problems that do occur with loading videos. There might also be other issues related to caching video ads from different ad sources at the same time. Most mobile games allow for many natural placements for video interstitials. Common placements are on the Main Menu, End of Round, and during gameplay. Static interstitial ads are exactly the same as video interstitials but with static images. Like the video interstitial ads, the best placements for this format are during natural breaks in gameplay. Users can easily dismiss the ads once they display. Most devs use a mixture of video and static interstitials at the same placements in their game. eCPMs are good but can be better. 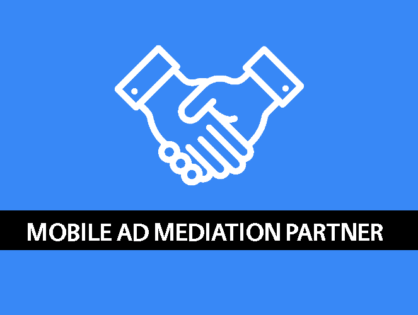 Since the user can dismiss the ad quickly, users might not spend a lot of time interacting with the ad which will affect the eCPM negatively. Static interstitial ads are a common mobile ad format so there is plenty of inventory to go around. There shouldn’t be an issue getting great fill. Although the ads do interrupt gameplay, the user experience is better than video interstitials because users can instantly dismiss the ad format. This type of mobile ad format is easy to integrate and doesn’t really cause many issues after integration. Placements for static interstitial ads are easy to come by and follow the same flow as video interstitial ads. The same common placements still apply; Main Menu, End of Round, and during gameplay. Rewarded Video Ads are one of the newest mobile ad formats and the best fit for mobile games. They are non-skippable and triggered by the user. The user chooses to watch the video ad and in exchange, they are “rewarded.” These rewards could be in-game currency, power-ups, or more lives to keep playing. There is a lot of controversy about rewarded video ads canalizing in-app-purchases but there is little evidence to back up this claim. eCPMs for rewarded video ads are very high. Users are more engaged because they are receiving something in return for watching the ad and advertisers are willing to pay higher prices for this engagement. Since rewarded video ads are still a relatively new format, there isn’t a lot of fill. However, this is growing quite rapidly as devs create more placements in their games for this ad format. These new placements are leading to more inventory as advertisers rush to take advantage of this new opportunity to show ads to highly engaged users. Rewarded Video ads are great for user experience because you give the user the choice to watch an ad instead of forcing them to watch. Users like getting things for free and don’t mind watching a short ad especially if the reward is something they want. This integration is a little more intensive because you have to design the game for the use of Rewarded Video ads. However, most mobile games already use a freemium model, so integrating Rewarded Video ads is a natural fit. It may take some creativity to find the right spots in your game to show rewarded video ads, but with a little effort, you can find great placements. Playable ads are the most interactive of the mobile ad formats and are usually advertisements for other mobile games. When the ad plays the user is able to interact with the ad and play a mini-game. When the mini-game finishes the user receives a prompt to download the full version of the game. In essence, the ad tries to get the user hooked by playing the mini-game and encourages them to download the full version. eCPMs for playable ads tend to be high because the user is highly engaged with the ad. However, since the campaigns are coming from other mobile devs, the budgets are not as high which lowers eCPM. Branded content from companies like Lexus, Pepsi, and Kraft have bigger budgets and usually use other mobile ad formats like video interstitial and rewarded video. This is a new format without a proven track record. There aren’t many companies providing this mobile ad format, so there is a low fill rate. Most mobile game users don’t mind playing a mini-game ad but there can be glitches caused by the ad which may cause crashing leading to a bad user experience. The integration can be set up exactly like static and video interstitials. Again, the placements could match the same placements built in for static and video interstitials. Obvious placements include; Main Menu, End of Round, and during gameplay. Native ads are a mobile ad format that strives to match the user interface (UI) of the mobile app. Examples of popular apps that use this ad format exclusively are Instagram and Twitter. Native ads haven’t caught on in mobile gaming because every mobile game has a different look and feel. It is hard to match a mobile games’ form and structure with a native ad. This leaves the ads feeling more like square banner ads instead of its intended purpose of blending into the UI. eCPMs for native ads in mobile games aren’t very high. This is due to the fact that most advertisers haven’t created native ads with mobile games in mind. They work better in apps that have uniform content. This format has a high fill rate because it is very popular mobile ad format. It is popular because it doesn’t interrupt the user experience which causes the users to engage more. Native ads give the best user experience because many users don’t even notice that they have seen an ad. This is harder to do in a mobile game, but if the dev is able to place the ad in the right spot, the ad will not be noticeable which will give a better user experience. Native ad placements must be part of the plan early on. This requires preparation and experimentation in the design phase. It is hard to find a placement in a mobile game where a native ad fits and will serve it’s intended purpose of showing an ad but also not interrupting the user experience. Banner ads have been around the longest of any of the mobile ad formats. Simple placements can be setup at the top or bottom of the screen and different banner ads will automatically cycle through the placement. Banner ads give the lowest eCPMs. Users see them constantly and don’t usually engage, which causes advertisers to use other formats. Lower advertiser budgets and low engagement from users are also important factors causing lower eCPM. Despite low performance for the advertiser, many are still buying this format which is why there is still plenty of fill. Banners used to be a minor annoyance to the user but by now all users see banners as commonplace. Many don’t notice the banners anymore and this ad format doesn’t interrupt the user experience. This format is very easy to integrate into mobile games. The banners adjust to either portrait or landscape views in your mobile game. There is only one placement that devs have to deal with in order for the banner ads to show up on every screen in the game. Product placement is a form of native advertising that works with mobile games. Ads are custom and fit directly into the mobile game to create a seamless experience for the user. The problem with product placement is that it’s hard to scale. Product placement also requires direct contact with the advertiser to make sure the integration respects the brand. There is still high potential for this mobile ad format to grow in the future. Product placement will generate the highest eCPMs because devs can skip the middleman and do direct deals with the advertisers. Also, since the ad is very customizable, they usually have the great engagement. There isn’t a fill rate for product placement. In order to get ads in your mobile game from product placement, you have to do one-off deals with different advertisers which is time-consuming and costly to implement. Product placement as a mobile ad format is great for the user. If done correctly, users will not only notice the ad but will be impressed with the implementation into their gameplay. Since every product placement must be custom, it is very hard for devs to integrate the product placements into their games. However, the revenue gained from this type of ad might be worth the level of effort. There are probably hundreds of ways to integrate product placements into a mobile game. It is up to the dev to figure out how to take advantage of this opportunity and find the right placements for the right advertisers. This is FREE content. I will never force you to give me your email or buy a some product. I just love teaching people. If you learned something please share on your social media accounts and check out my other posts.